Vinyl is inexpensive and lightweight, ensuring lower installation fees. It’s low-maintenance and relatively durable, but it’s prone to being damaged by strong winds and it’s not energy efficient unless you pay extra for insulated vinyl. There’s a huge selection of colors, however, and repainting isn’t necessary because the color is mixed into the material. If you’re about to sell your house, this is a great home improvement project that’ll give you a return on the investment. Wood siding be stained or painted a color of your choice. Different types of wood vary in price; get a higher quality wood if you’re staining it, but cheaper wood if you’re painting it. Wood requires a lot of maintenance, so plan to spend money on it each year, but it can last decades—even generations—if you put the work into it. This is another low-maintenance option that mimics wood, shingles or stone and can be easily painted a variety of colors. It’s a less expensive material than wood, but its heavy weight drives installation costs up. It’s durable and resistant to termites and fire damage. 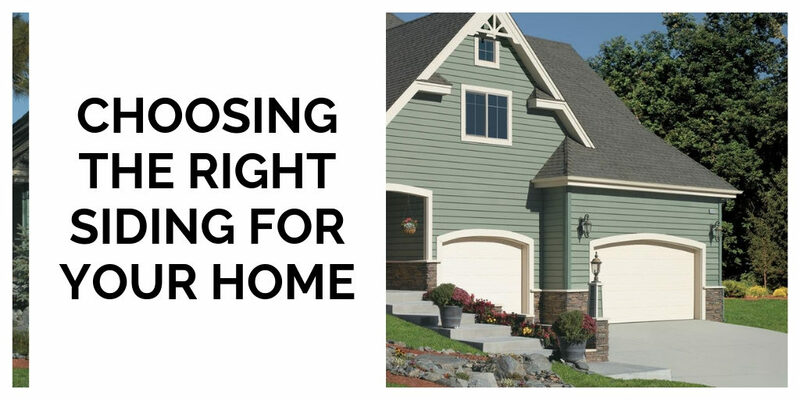 Whether you’re prioritizing durability, cost or style, there are plenty of siding options to choose from for your home. Replacing siding is a practical part of owning a home, but it can also be a way to show off your unique style.